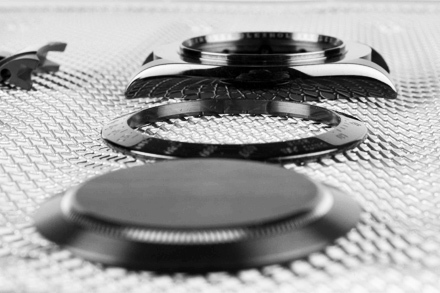 DLC is used for a huge range of purposes spanning many different industries, including aerospace, automotive, military, and medical; and now, design-led applications. Because the DLC is deposited as particles and is amorphous, it does not have any grain or texture of its own. DLC adopts the same tactile characteristics of the surface it is applied to, resulting in a change of colour but not a change in finish (if it is applied to a polished surface, it will appear polished; if it is applied to a brushed surface, it will appear brushed, etc.). 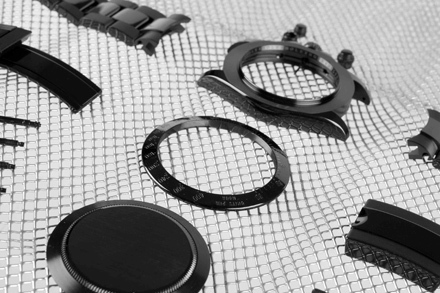 In this way, the subtleties of the contrasting textures of a watch are preserved.